There are many Brain Tests. The brain is a complicated part of the human body. It is also a part of the body that is rarely tested unless something goes wrong or if there is unexpected trauma. A neuropsychological test can be one of the easiest, yet most crucial components to understanding the functions of the brain and also understanding if there are potential problems with your brain. Cognitive tests can also give doctors and scientists a good and relatively precise idea of treatments that will help get the brain back up and running as usual. There are many different types of tests that can be run on the brain. One example of is an Electroencephalogram (EEG). This test is defined by wedmd.com as a test that measures and records the electrical activity of your brain. Sensors are put on your head, leading to the brain and then hooked up to a computer. The computer can record electronic waves that can show certain brain conditions such as seizures and some sleep disorders. Brain tests do not have to be so scientific and invasive. There are easier and more fun ways to test your brain for certain functions such as cognition and recognition. These tests not only test the brains abilities, but they can also help keep the brain in shape. One of these tests is the Neuropsychological Assessment Battery, which tests cognitive functions. Another neuropsychological test example is the face recognition test. The face recognition test can check your ability to recognize faces, as well as memory. Another popular brain test is a crossword puzzle. A simple crossword puzzle can test problem solving skills and information retention. 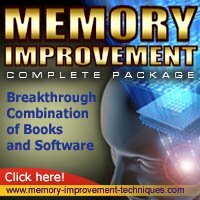 These tests are not as accurate as an EEG, but they will help you learn the areas of your brain that may need improvement, as well as maintain and improve areas of the brain that are already in good condition. The brain is one of the most important parts of the body. Without the brain's ability to act properly, people would lose the ability to live normally every day. The brain controls all motor skills, speech, sight, breathing, and every other role of the body. Even though the brain is not readily tested at normal doctor office visits, it is still very important to treat the brain as an important and vital part of the body. Keeping the brain fit and as active as possible can help detect and prevent certain problems.